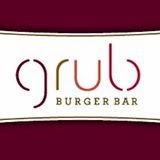 Grub Burger Bar is targeting the end of this month for its Philadelphia-area debut in Willow Grove (159 N. York Rd.) Look for gluten-free buns and sweet potato fries cooked in a dedicated fryer. A second Delaware Valley branch is coming to North Wales in June 2015 (230 Montgomery Mall). The just-opened Bareburger in the Washington Square West section of Philadelphia (1109 Walnut St., 215-627-2273) serves traditional and exotic proteins on gluten-free buns (baked by Free Bread) along with four salad varieties. The fries are prepped in a separate fryer and all of the shakes are gluten free. A flourless chocolate cake and a vegan carrot cake headline the dessert options. Owner Daniel Kemelman stresses that the kitchen takes every precaution to avoid cross-contamination. By coincidence, readers Shari S. and Diane M. both reached out this week to tell me that Blue Moon Pizza in Cape May (425 Beach Ave., 609-884-3033) now offers gluten-free pizza made in a dedicated oven with separate ingredients and bakeware. Also on the menu are veggie wraps and salads. If you work in University City or are waiting to catch a train, Bridgewater's Pub at 30th Street Station (2955 Market St., 215-387-4787) marks gluten-free options on its menu. Gluten-free choices are also noted on the menus at Abbott's on Broad Creek in Laurel, Delaware (300 Delaware Ave., 302-280-6172) and Abbott's in Milford (249 N.E. Front St., 302-491-6736). Also in the First State, Bonefish Grill brings its refreshed gluten-free menu to Wilmington with an debut this Monday at the Concord Mall (4737 Concord Pike, 302-478-1835). A hat tip to reader Jessica G., who let me know that Jules Thin Crust has opened in North Wales (1460 Bethlehem Pike, 484-808-2223). All of the mini chain's branches serve gluten-free pizza. Trader Joe's markets are stocking some new gluten-free products. 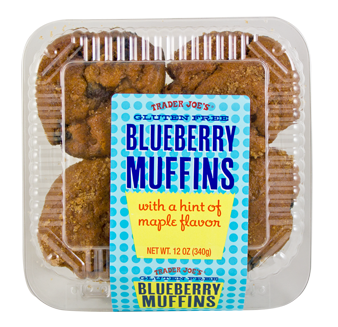 The blueberry muffins, found in the bakery section, are made with a blend of rice flour, potato flour, soy flour and almond meal; a four-pack sells for $3.99. A 16-ounce package of chicken nuggets, which have a crunchy corn-and-rice meal coating, is priced at $4.99. Nostalgic Cookies, which I sampled at the recent Gluten-Free Living Conference vendor expo, are now available in this area. Martindale's Natural Market in Springfield (1172 Baltimore Pike) and Philadelphia's Palm Tree Gourmet (717 N. 2nd St., 901 S. 2nd St. and 1940 Pine St.) are carrying the line. Locally made Commonwealth Ciders were the focus of Tuesday's blog post. Commonwealth will be among the many cideries participating at the Pour The Core hard cider festival at the Navy Yard on September 27. Gluten-free arepas from the Delicias food truck will be available at the event. Although the next Ladies' Night at Stone Barn Cellars Winery in Spring City, Chester County (3050 Pottstown Pike, 484-985-8077) on September 25 is already sold out, seating is available for the following month's dinner on October 9. The event always includes an entirely gluten-free buffet with items like salmon with seafood Imperial, beef tenderloin, salad, side dishes and desserts. The winery also serves gluten-free snacks and cheeses for everyday visitors to enjoy with their wine. The tasting room, located in a 150-year-old stone bank barn, is open Sundays through Thursday from noon to 5 p.m. and Fridays and Saturdays from 11 a.m. to 7 p.m.
Gluten-free cooking classes are plentiful this fall. Sur La Table is offering a "Gluten-Free Baking" class on September 14 at its Lawrenceville, Marlton and King of Prussia stores. The "Gluten Free Everyday" class at Doylestown's Carlow Cookery on September 23 will feature gluten-free and dairy-free recipes, while The Nourishing Well in Havertown has a series of classes running through December. With the Gluten Free Philly app for iOS and Android devices, find more than 1,400 area gluten-free-friendly businesses on the go, search by cuisine or neighborhood, make reservations and more!